The state capital is Carson City. The largest city is Las Vegas. 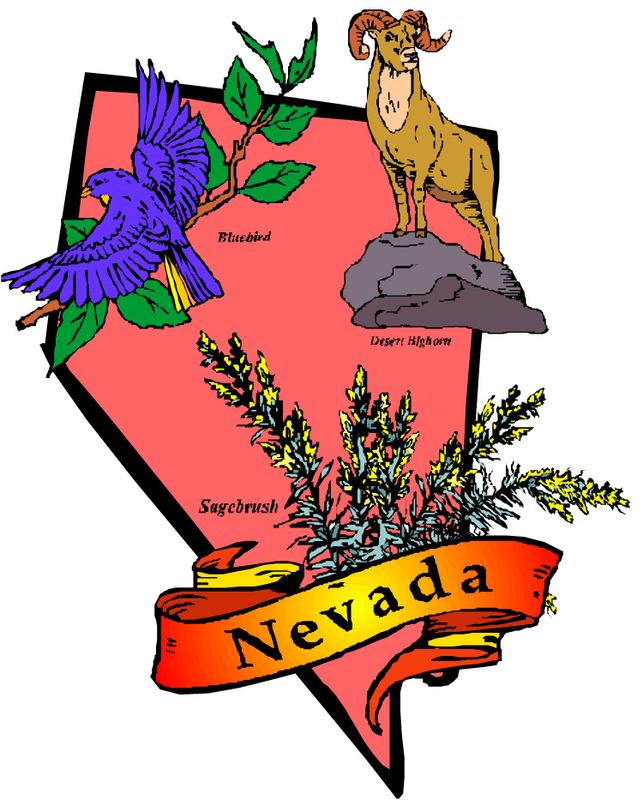 State nickname is the Silver State and/or the Sagebrush State . State animal is the Desert Bighorn Sheep. A bill was passed in 1931 legalizing gambling in the state of Nevada. In 1899 “Liberty Bell” was invented. It was the slot machine upon which all slot machines were based. Rita Mae Brown: Mags & Baxter Mystery Series – Mags moves to her great aunt’s ranch with her dachshund, Baxter, and solves crimes. Carole Nelson Douglas: Midnight Louie & Temple Barr Mystery Series – Midnight Louie is a sleuthing tomcat. L.C. Hayden: Dan Springer Mystery Series – Dan is a magazine author who also investigates (and solves) crimes. Perri O’Shaughnessy: Nina Reilly Mystery Series – Nina is a lawyer who sleuths in Lake Tahoe. Karen E. Olson: Tattoo Shop Mystery Series – Brett Kavanaugh runs a tattoo shop and puts her stamp on crime! Sue Owens Wright: Beanie & Cruiser Mystery Series – Elsie “Beanie” MacBean is a freelance writer and member of the Washoe Tribe. She and her Basset Hound, Cruiser, sleuth in Lake Tahoe. You might consider adding writer Todd Borg. His books feature Owen McKenna, a retired San Francisco cop turned P.I. who lives on the Nevada side of Lake Tahoe. So far there are 11 books in the series, all well written and filled with suspense. Thanks, Louis, for telling us about Todd Borg’s Owen McKenna Nevada-based mystery series. Susan*, I just added Jackie Chance’s Poker Mystery Series to the list, which will be posting either tomorrow or Friday. Thank you! Marlys Millhiser set Nobody Dies in a Casino in Las Vegas (one of the books in her Charlie Green literary series); it also is available in various ebook formats.